Up on the rooftops, Zenbu Kimi no Sei da rock out on the checkered floors. Down on the ground, ZenKimi wave light light wands like they were sabers as the frolic. Color-keyed gas masks seem to protect the group from the infected air down among the city-dwellers. All the while, the masked band rocks that rooftop. Given the Evangelion-like school uniforms worn by Zenbu Kimi no Sei da, their twisting dances takes the appearance of so many rag dolls. Visually, you can even see the rags strung up like prayer flags. All of this imagery celebrates the damaged and beaten part of society for whom this song is presumably meant. Musically, “Sophomore Sick Sacrifice” keeps things moving with a quick tempo and a guitar-centric arrangement that I quite enjoy. I can imagine it’s a right good time bashing along to this song, and would even more so if I got a hold of one of those gas masks. “Sophomore Sick Sacrifice” releases TODAY, February 15, 2017. 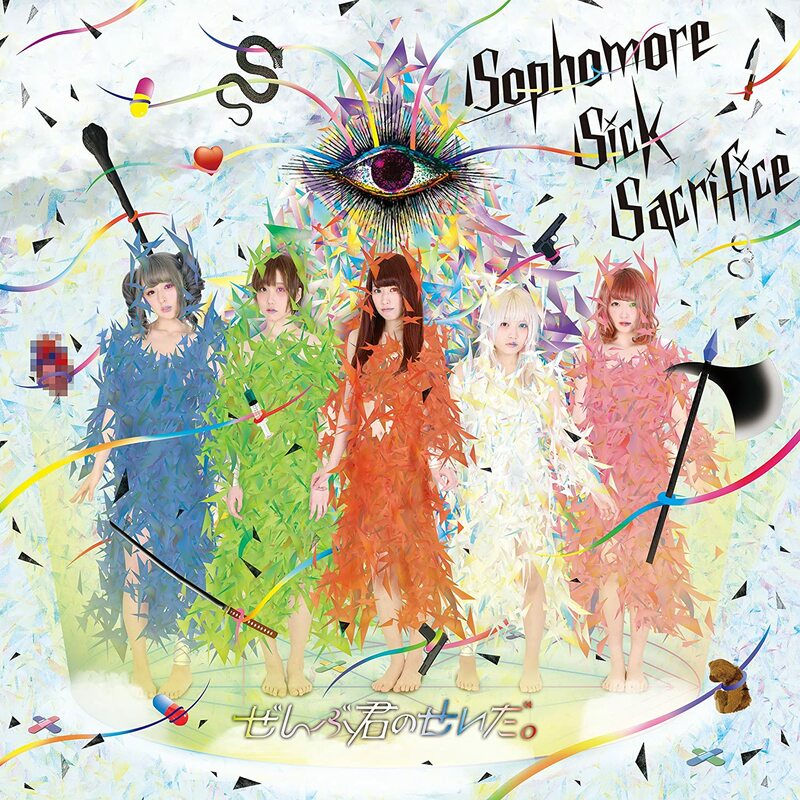 Buy Zenbu Kimi no Sei da’s “Sophomore Sick Sacrifice“!